And maybe wish you didn’t. Like the fact that Wolfgang Amadeus Mozart, one of the most prolific and influential composers of the Classical era, enjoyed toilet humour. Beyond the beautiful music he composed, Mozart is an intriguing fellow we just couldn’t help digging up some gossip on. 10. He was baptised Johannes Chrysostomus Wolfgangus Theophilus Mozart. We’re fairly certain his parents did not employ foresight into children’s playground behavior when naming their son. 9. It would take 202 hours to listen to every piece of music Mozart composed. When he died at 35, Mozart had composed over 600 pieces, which amounts to about 17 per year. His longest piece, Symphony 41, is approximately 45 minutes alone. 8. Who knew musical genius’ had time to “play”? Mozart loved billiards. When he died in 1791, a billiard table with five balls and twelves cues was among his possessions. 7. He was afraid of the trumpet. Apparently, Mozart disliked the trumpet as a child and developed an affinity for the clarinet, for which he wrote his first concerto at age 5. 6. Overworked and underpaid was even a theme in Mozart’s day. If you need evidence that salary doesn’t measure worth, look no further than Mozart, who was paid less than half of what his predecessor at the court of Joseph II in Salzburg made. 5. Mozart fell in love — then married her sister. When German soprano Aloysia Weber appeared to not remember her former suitor upon his return following a short absence, he spurned her with a song and then proceeded to marry her sister, Constanze. 4. Mozart was a Freemason. It’s believed that several of his compositions contain Masonic symbolism, including his beloved opera The Magic Flute. 3. His great enemy was Italian composer Antonio Salieri. Or so the 1984 movie AMADEUS would have you believe, going so far as to pin Mozart’s death via poisoning on the Salieri. 2. There are no less than 118 theories connected to Mozart’s death. 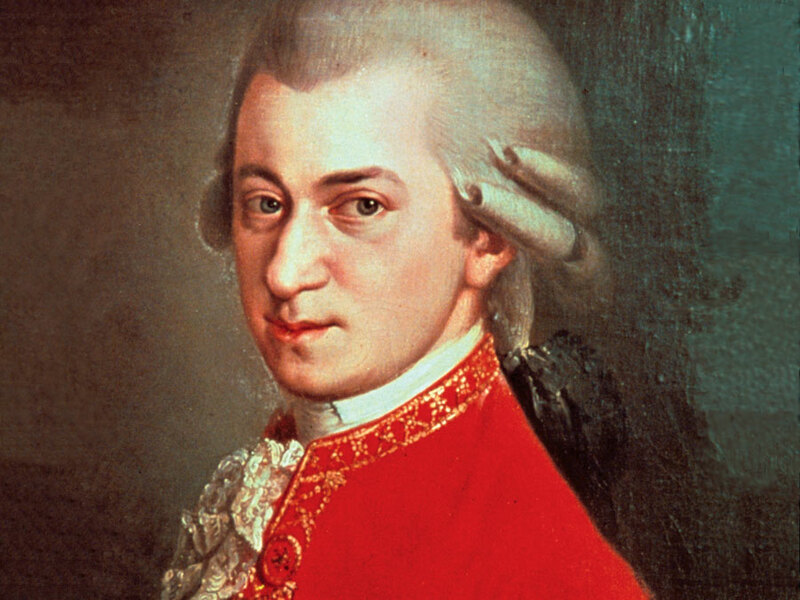 The exact reason for Mozart’s death at age 35 is still unknown. Or rather, the bird wrote the song. Mozart’s notebook contained a tune originally song by the starling upon which his 17th piano concerto is based.